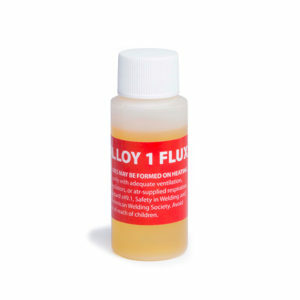 Heat the bottom of the parent metal to achieve an even heating. 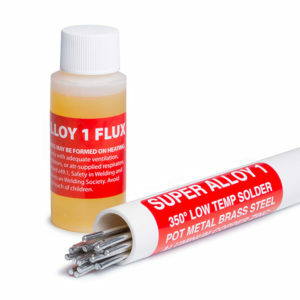 The flux will turn from a clear liquid to a yellow to brown color which is optimal for soldering with the Super Alloy 1 rod. We cooled the part quicker than normal for the video but would always suggest letting the part air cool.